Plagiarism, the act of using someone else’s work or ideas and not giving credit where it is due, is becoming increasingly rampant among students of all levels. Whether it is not citing a source or stealing entire portions of a work, plagiarism is a real problem for many schools across the country. Up to 55 percent of college presidents say plagiarism in students’ papers has increased in the last decade, according to a study by the Pew Research Center. Clearly, measures are needed to first identify plagiarism and then move toward decreasing its prevalence. It seems that the cheating epidemic is not going anywhere fast. According to Accredited Schools Online, between 2012 and 2014, the University of California San Diego had more than 1,200 academic code violation allegations. These reports resulted in the assignment of reflective papers or ethical seminars for some students and suspensions for 158 others, depending on the severity and plagiarism type. According to Study in the USA, there are five types of plagiarism that occur: direct, mosaic, self, paraphrase, and accidental. In addition to the different ways students may plagiarize, there are also many types of media which can be altered to suit their needs. Perhaps the most commonly known academic cheating has to do with words, but there are others such as intellectual, image, and sound theft, according to Affordable Colleges Online, all of which may result in copyright infringement. While the modes of plagiarizing may be relatively few, the number of tools for plagiarism are on the rise. Generally, there are two ways to source, receive, or use infringed materials: modifying physical objects or obtaining someone else’s mental property, with or without their consent, in order to pass it off as the plagiarizer’s own. Students have been modifying items to suit their cheating needs for a long time. Some write notes on calculator cases in pencil, hollow out pens, write notes on the insides of water bottle covers, or draw on erasers. Especially brazen students may even go so far as to add on to their answers when tests are returned to them and then go back to their professors for missed credit, according to The Telegraph. Written works containing stolen content can be a bit harder to identify. 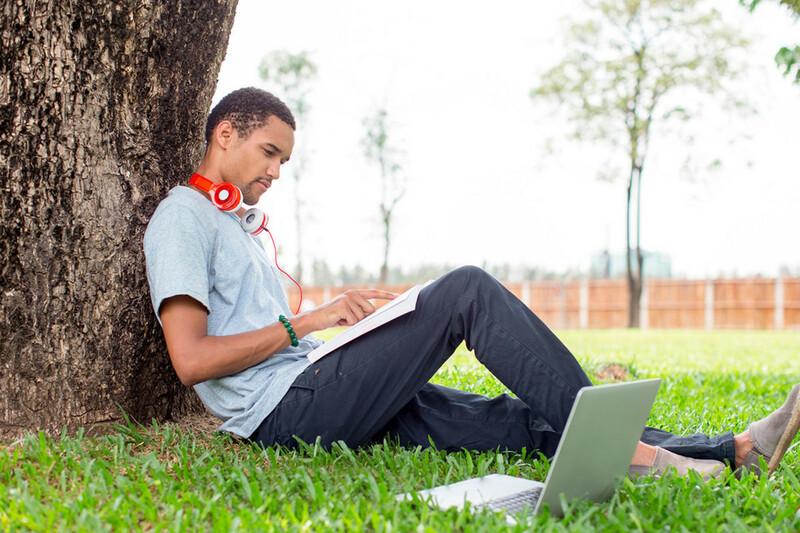 Students may paraphrase without crediting, although some plagiarism checking software systems may be able to catch that type of work. Other common types of cheating involve buying essays online, paying other students to write papers, and using essays friends had turned in in previous years. According to The Telegraph, some students have even gone so far as to have other people take tests for them with fake IDs. At the start of every new school year and each new semester, make sure to outline the plagiarism policies of the school, academy, college, or university at which the students are enrolled. The rules may range anywhere from almost no penalty to one-strike expulsion, and often if students are aware of the consequences of their actions, they’ll think twice before committing the act. Also, try not to assign the same project every year. If students know that everyone before them completed the same work, they may be more tempted to source their materials from friends. Additionally, request that students turn their own papers in to plagiarism sites before handing them in. This would allow students to correct their mistakes before officially turning in the work. If a teacher catches a student cheating, the teacher should also have his or her own personal rules for dealing with the situation, whether that be addressing the issue in front of the class, pulling the student aside, asking the student to visit the teacher’s office later, or some other response. For years, Algerian students had been using smartphones to cheat on their national baccalaureate exams. This June, the Algerian government had had enough. According to the New York Times, the government turned off the Internet nationwide for at least an hour a day while students were testing. This meant, not only could the students not cheat, but no one was communicating via the Internet at all—in the entire country. While this method may seem extreme, preventative measures in the classroom are sorely needed. 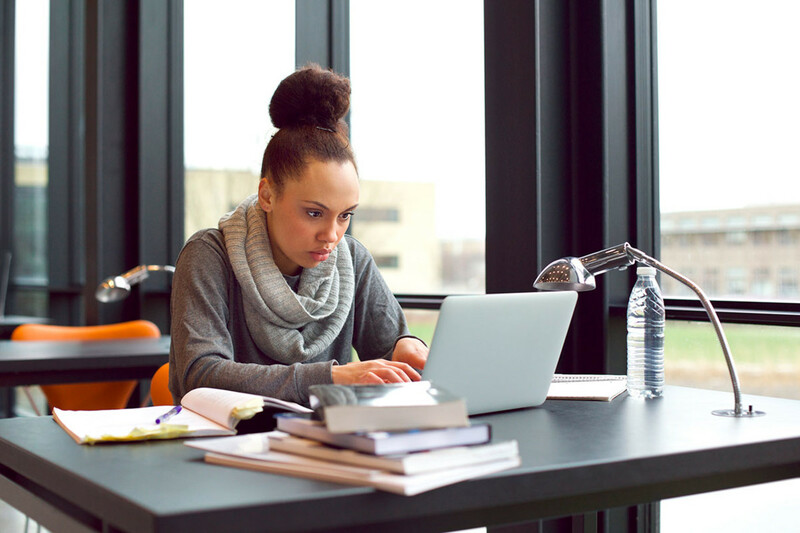 Though turning off the Internet in its entirety is not a feasible option for most teachers and academic institutions, there are a few other ways to prevent plagiarism in the classroom. Consider banning laptops, smartphones, and smart watches from exams. Additionally, a potential cheat-proof exam style has been written about on Savage Minds, a blog by Carole McGranahan, a professor at the University of Colorado. Her method involves handing out the multiple-choice test questions a week before the exam. Students are encouraged to find the correct answers and also be knowledgeable about the wrong answers. On the test day, the students are given the multiple-choice questions in a scrambled order. In addition, three of the questions are turned into essay prompts, where the student must explain to the teacher why they chose the answer they did and why the other answers were incorrect. Professor McGranahan has found that because the students have the questions ahead of time, there are almost no instances of found cheating. The only concern is the massive number of essays to grade in the end. Plagiarism can be both easy and very difficult to spot, depending largely on the ingenuity of the cheater. In general, cheating via physical objects is easier to see. Identifying cheating within written content can be harder, although new technologies are helping. As noted above, there are many objects people can and have used to cheat in the past: calculator cases, hollowed pens, water bottles, erasers, and even a test which has been handed back after grading. For most physical objects, keeping an eye out while students are testing is a necessary prevention. Walking up and down the testing rows or aisles is also recommended. The easiest forms of falsely written content can be caught at a glance from a human reader. Meanwhile, the harder instances to catch involve more nuanced cheating and, sometimes, may be completely undetectable, much to the chagrin of teachers and academic institutions. The following is advice on how to potentially find plagiarized content within written works, according to The Guardian. Copy and Pasting. Particularly lazy or time-pressed students may copy and paste directly from a source into their own document. If subscripts or superscripts are in their documents, it is likely that they may have done just that (unless they are using superscripts as footnote/endnote notations). If a student is truly so lazy or hard-pressed that they don’t remove the superscript, then chances are that they won’t have the necessary footnotes to go with them. Typeface Changes. While students may have reformatted blocks of text to fit within their own writing, they may not even be aware of small typeface differences, such as the differences in American and British writing. Look out for incongruous instances where the writing switches between American and British spelling or punctuation. Funky Nouns. A common way students think to elevate their writing, or to hide a plagiarized work, is by switching out nouns. If the content reads awkwardly, stumbling over the nouns, or there are word choices that seem highly unlikely for a particular student, then further examination may be required. Switch in Writing Style. Sometimes students start out with the best of intentions and the beginning of their papers are wholly their own. But as time goes on and the deadline looms or their attention dwindles, they may implant someone else’s text into their papers. Look for a marked shift in the level of writing style. Vastly Improved Writing Style. Some students may seriously work very hard to change the way in which they write. However, in the instances of writing styles that seem to magically improve leaps and bounds overnight, those students may have just hired someone else to write their papers for them. This can be tricky to prove, although software has come a long way, and it may be possible to check the writing style of that document against those by other students at the same institution. Check Online. While catching the obvious mistakes or differences in writing style may be possible for teachers, knowing which specific content is stolen often is not. Electronic plagiarism checkers, such as Turnitin or Copyscape, can compare the document against a vast store of published and copywritten material, sourcing from all over the world and across the Internet. Plagiarism occurs all around the world. From local high schools to prestigious universities, myriad forms of cheating are an almost constant academic concern. Not only is it everywhere, but the ways in which people cheat are also taking increasingly unique and more subtle forms. For instance, according to the British Broadcasting Corporation (BBC), over three thousand students at Rangsit University in Thailand had to retake their exams after cheating was discovered. Students were found transmitting the exam via embedded cameras in their glasses. The questions would then be received and solved by a team outside of the room, who sent the answers back into the room via smart watches. Rangsit University blacklisted all involved students while all the other students had to retake their exams. This subtle way of cheating involved not only one person, but many, and not only one paper or pen, but a lot of new technologies. With all of this rampant cheating, it might seem like a plagiarism law would be a step in the right direction. The U.K. tried just that in 2017. However, the proposed amendment to the U.K.’s higher education and research bill to make essay sales illegal failed to pass, according to The Guardian. This failure means that it is the school’s responsibility to find perpetrators and mete out appropriate punishment. Requiring individual schools to be their own investigator, judge, and jury seems to be the dominant global trend. These matters are usually handled internally, with the school choosing to give the plagiarizing student a strike, suspension, or expulsion. In the cases of post-graduation plagiarism discovery, some universities may even revoke the given degree, according to Check for Plagiarism. In the case of heinous offenses or extremely strict plagiarism policies, a school may decide to report the student not only for breaking academic rules, but for breaching copyright laws as well. There are numerous laws which protect the rights of authors to their works, whether they are printed or e-books, paper or data. The U.S. copyright law appears in the United States Code under title 17, according to the U.S. Copyright Office (USCO). Essentially, the law states that any copyright holder of a work can sue anyone who infringes upon his or her work’s copyright. If the infringer is found guilty, they will owe the copyright owner actual damages, additional profits made by the infringer, and statutory damages. Total owed amounts could range anywhere from hundreds up to tens of thousands of dollars depending on the case severity, according to the USCO. Further resources may come at the state-wide level as cheating continues. For example, there are companies that specialize in detecting cheating on standardized tests, according to the New York Times. Computer scanners can analyze and flag tests with high numbers of erasures, where incorrect answers were erased and others filled in. Some testing companies offer the analysis data for free, as they grade the exams. However, in the end, it is usually up to states, institutions, and individual teachers to act on any of the results.